Smart homes have smart devices that can be controlled via mobile phone while connected to the internet. Google Assistant makes life easier by empowering you with full control, and you won’t even have to lift a single finger! Google Assistant is a digital assistant much like Alexa and Cortana in iPhones and Windows devices. With Google Assistant, one can simply speak everyday commands that Google can recognize and do. As you can imagine, this kind of technology bring enormous value when it comes to a smart home. Google has expanded to being able to recognize and carry out over a million actions that enrich our lives. Google Assistant matters when trying to peer into the future of technology and consumer products. Voice is the next big thing that’s being integrated into everything. Tech experts state that voice technology is set to become the next digital revolution. 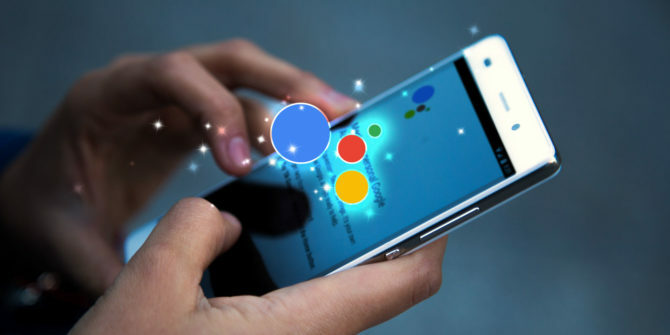 Google Assistant is powered by an advanced AI that could process machine learning and natural language processing. Voice AI is the technology used to understand the human voice and turn that voice into an actionable command, which is then carried out and accomplished by the device. Brands should invest in voice search technology and the future of smart devices if they wish to stay relevant in the coming years. Small Square is dedicated to helping companies understand voice AI and provide comprehensive end-to-end services for their voice-enabled projects. As with all kinds of platforms, design should take into account the user and their needs. Development, designing and execution of your voice application can be created from the ground up. Smart speakers are gaining a lot of ground due to their voice integration. Voice AI can bring endless opportunities to a rapidly-evolving technology. Your brand can be one of the first to create something innovative and useful.